When I was a little kid, we had a long gravel driveway that went up a hill to get to our farm. And in the spring, when the snow was still melting and the road was muddy, huge ruts formed in the driveway, making it nearly impossible to drive up the hill. I remember several times walking part way up the slope when my mom’s station wagon couldn’t make it up (and my dad wasn’t yet back from work to rescue us with the pickup!). The ruts made it impossible to make any traction up the steep driveway. There was no easy way to get free. 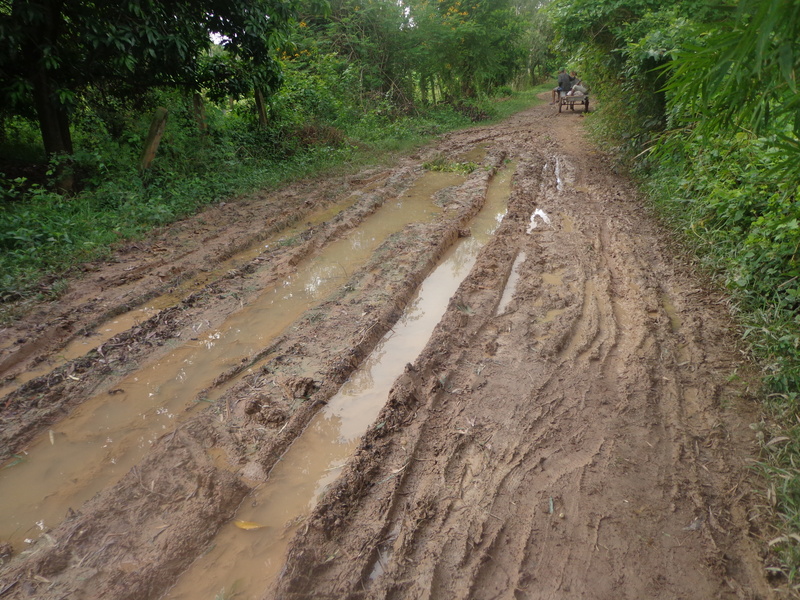 Changing course wouldn’t help, because the rut pulled us right back in, wheels spinning and mud flying. Does your devotional life feel like that sometimes? Stuck and in a rut, and you’re not sure how to navigate your way out of it? I’ve been there and I completely understand that sometimes we can all spin our wheels when it comes to being in God’s Word! 1. Choose a new devotional. It’s ok to just put down a devotional or Bible study book that you’ve let lapse and try something new! 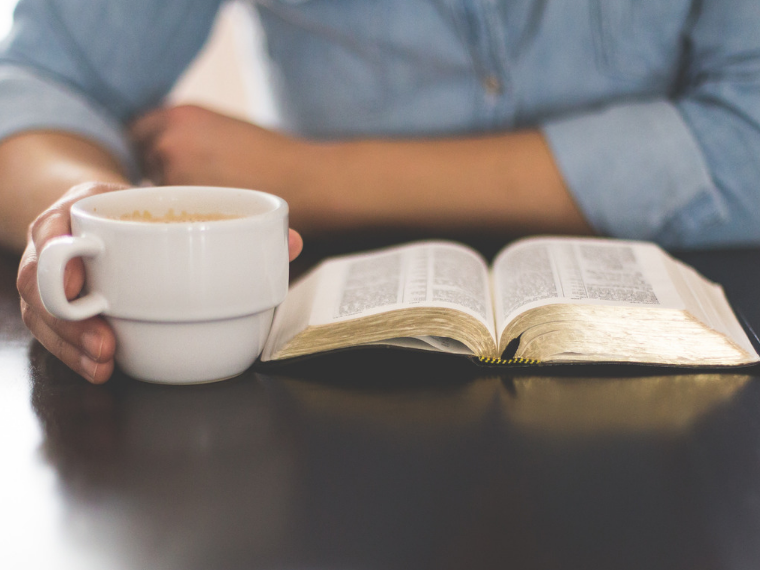 One key way to stay interested in a Bible study is to make sure it’s not just a devotional with someone else’s commentary, but an actual deeper look into God’s Word. In the next couple of weeks, I’m going to be putting together a list of recommended women’s Bible studies for you! 2. Choose a new study method. Maybe reading several chapters a day just isn’t going to work for you right now, so you need to pick a reading plan with shorter passages so you don’t get overwhelmed and quit. Or perhaps you like to write out your thoughts, rather than just read. Are you creative and like to color? Use Bible journaling or Scripture coloring books to get you excited and keep you in the Word for longer! Friends, there is HOPE! 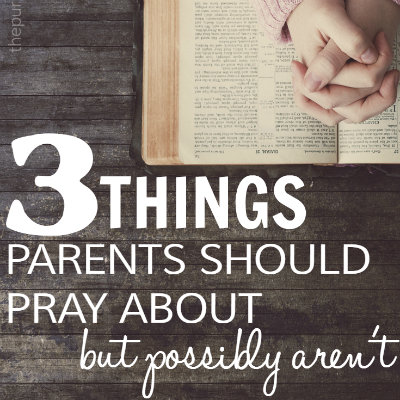 Our time in God’s Word doesn’t have to wane or stay stuck in a rut. There ARE ways to break free. If you could use encouragement and help getting out of your devotional rut, I am thrilled to share with you a project I’ve been working on behind the scenes with some other faith-based bloggers: The Flourish Bible Journaling Conference! 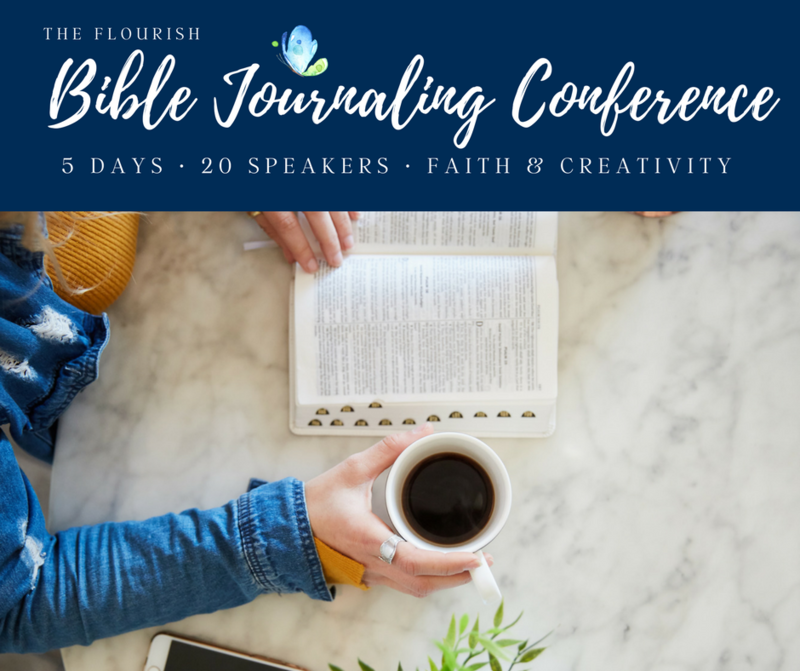 What exactly is The Flourish Bible Journaling Conference? This is an online conference happening right now (and it’s free!). It is a series of video interviews and teachings that will show you how to stay in God’s Word, allow you to use your creativity to refresh your devotional time and teach you how writing and journaling the Word and your prayers can truly bring you back to faith and trust in the Lord. The Flourish Bible Journaling Conference is a gathering place for women who desire to passionately pursue God and His Word through their creative gifts! Your life has been designed by the Creator to flourish where you are planted! Whether or not you consider yourself artistic, we all probably have a desire to connect more deeply with God in our own creative ways. Over the course of 5 days, 20 speakers (including myself) offer encouragement in this conference as you seek to find your creative gifting, inspiration for your Bible studies, and tips and techniques for Bible Journaling. Here are just some of the topics we’re covering in the teaching videos! My favorite by far has been overcoming anxiety with Bible Journaling, with Journaling with Kids coming in a close second (my daughter loves to be creative!). And one of the best parts about it? The Flourish Conference is FREE. Head here to sign up for the conference. Then, you’ll get an email with a free coloring page as well as a conference guide to showcase all the speakers so you know what topics will be covered! Then, every other day, you’ll receive another email from Flourish that provides you with links to four of the 20 videos and interviews. 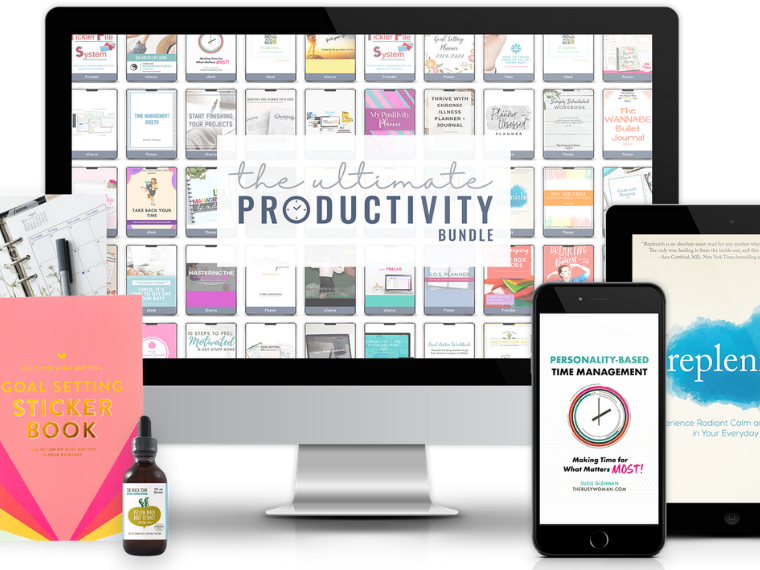 (Every other day is the way we’ve decided to do it this year to help eliminate overwhelm). Oh, and the conference is all online and available 24/7, so no matter where you live or your time zone, you can take part! You’ll have two full weeks from today to watch each of the 15-20 minute video presentations, all for FREE! Once you sign up for the free conference, there is also the option to purchase the All-Access Bundle for the conference, which not only provides you with lifetime access to the presentations but also resourceful, digital downloads from each speaker and additional exclusive videos that you can only get in the bundle, to help you in your journey through Bible journaling and study! My Write Through the Word is included, along with many other resources. But it’s super important for you to know that you are NOT obligated to purchase the All-Access Bundle. 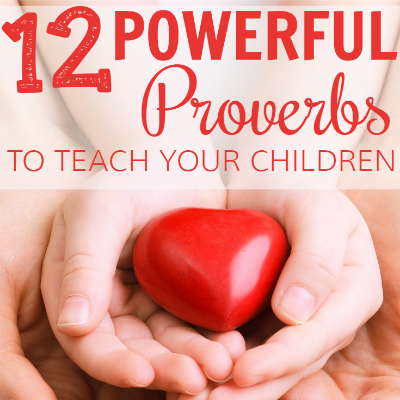 You have two weeks to watch all of the teaching videos (including mine on Busy Moms Guide to Bible Study) at no cost to you! I just signed up for the Flourish conference this week! I just finished the third video and I’m so inspired!